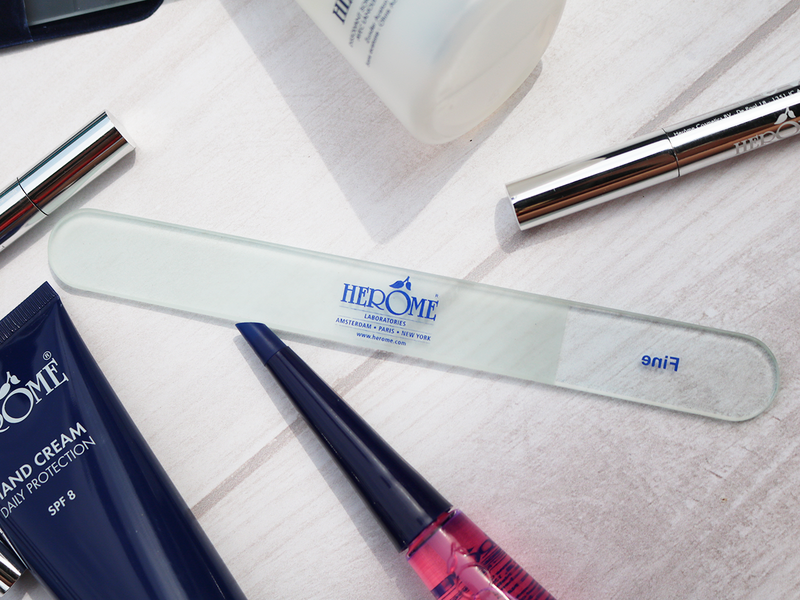 Prevent weak, splitting and cracking nails with the Herôme Glass Nail File. 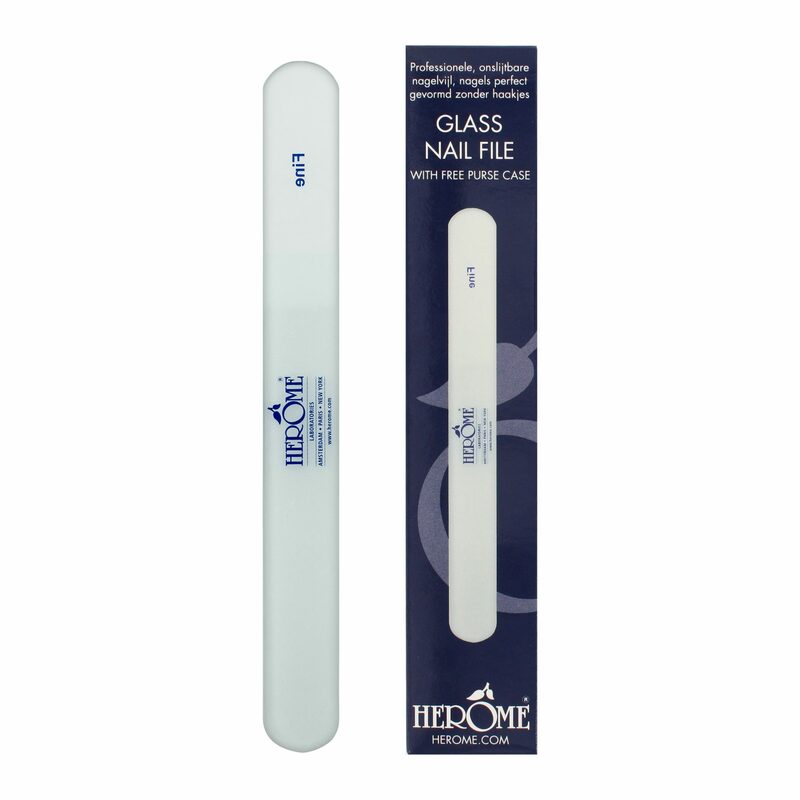 With this professional, long-lasting nail file, nails are properly and beautifully shaped. The structure of the glass closes the nail plate completely, which prevents the formation of brackets and cracks in the nail. Water and dirt are also blocked from entering underneath the nail plate. 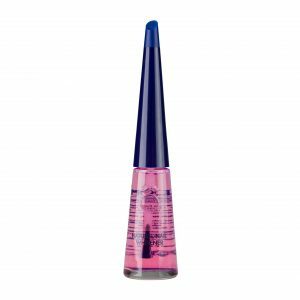 Due to the structure and special design of the glass, nails can only be filed from the side towards the center of the nail. This inhibits incorrect and damaging filing, as ‘soaring’ motions are incompatible with the glass file. 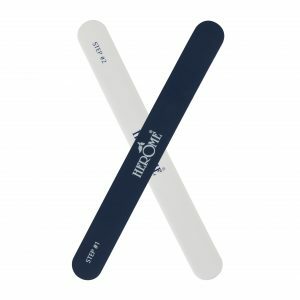 Never cut or bite your nails! This kind of pressure on the nail plates is extremely bad for your nails, and can cause the nail plates to open. 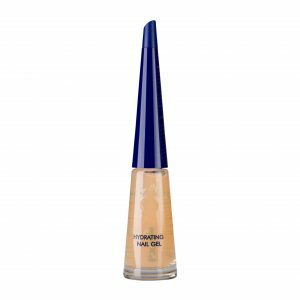 This means that there is more of a chance of moisture and dirt becoming trapped under the nail. 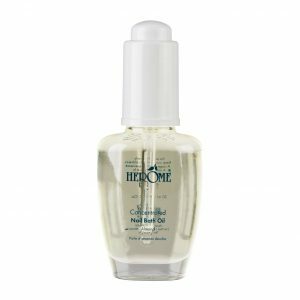 Nails look best and most beautiful when the shape of the nail edge is parallel to the shape of the base of the nail. 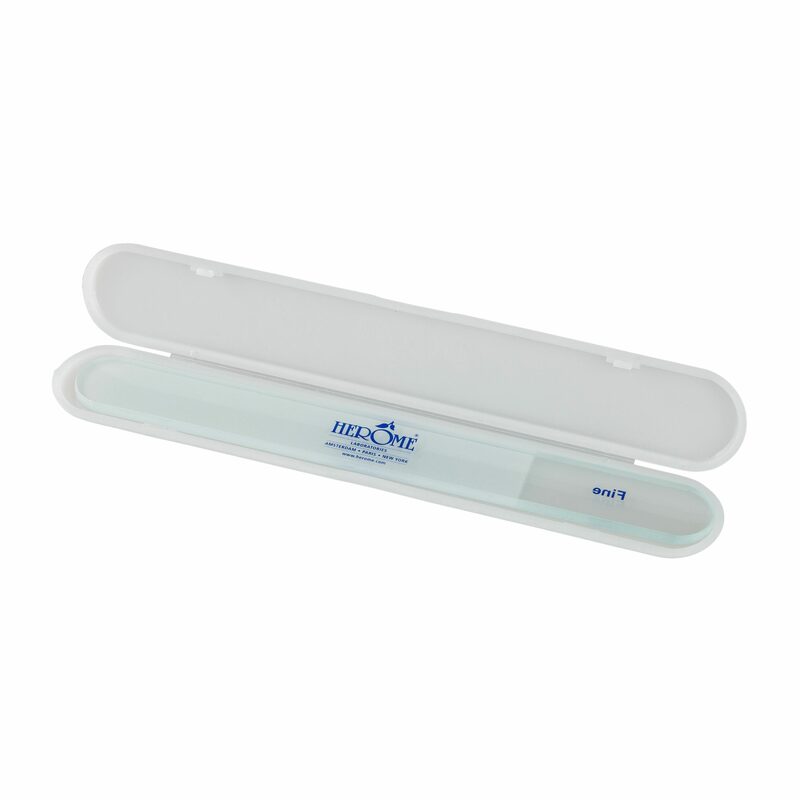 We recommend cleaning the Glass Nail File after use with our Direct Disinfect Spray. Hold the file loosely and at an angle of 45 degrees below the nail. In a smooth, round motion, slide the nail into shape and move from the side towards the center of the nail. Avoid making a ‘sawing’ motion, as this might damage the nail plate. The pressure applied to the file during the filing movement will determine the strength of the file on the nail.